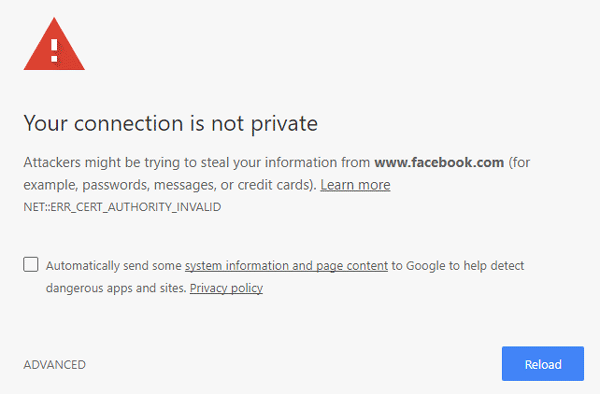 Some of our readers asked reported us the following problem that they are no longer able to access or open the https secure websites, this problem started happening to on of my friend computer when she tried opening some https websites the browser which was IE 9 on her computer, threw the error saying cannot load the websites pages. 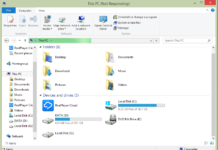 She also tried some other browsers like google chrome and firefox as well these browsers as well did not loaded the webpages on her PC. 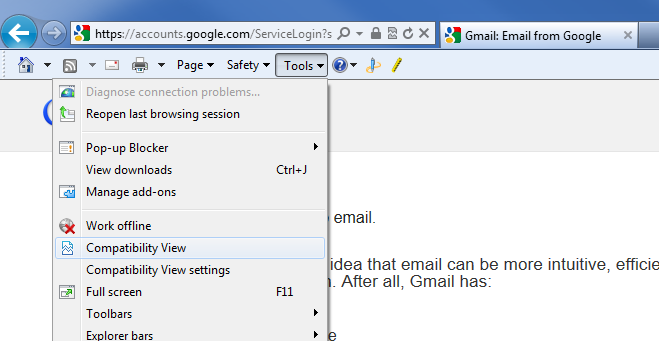 After some searching we found out different reasons for this problem to occur on a PC on any browser, like there could be something wrong with the encryption settings in your browser if it is not supporting 128 bit encryption, another reason could be the temporary files or the security setting for the trusted websites need to be adjusted. 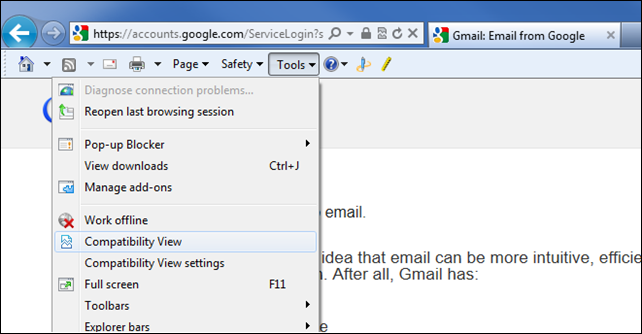 Most of the time, this problem should get solved if you try to load the website in compatibility view or just by deleting the browsing history of the websites visited in the browser. 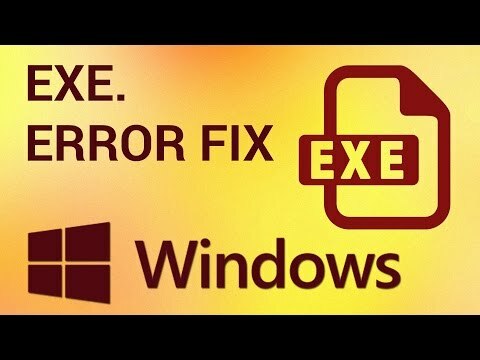 Now going further in this post we are going to share various solutions this problem, do let us know if anything works for you in case you faced this issue on your computer. 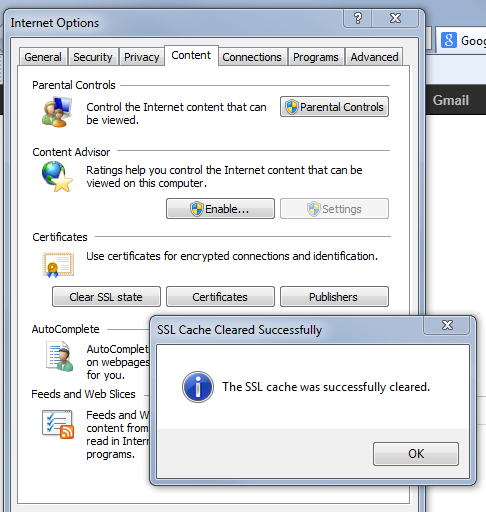 Following are some solutions which you might apply to fix the problem of cant access the https sites in any browser on your computer. 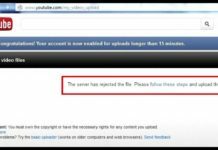 There might be a problem with the website design which might be causing the browser to not render it properly, you can enable the compatibility view for a website you can easily load it and fix this issue. 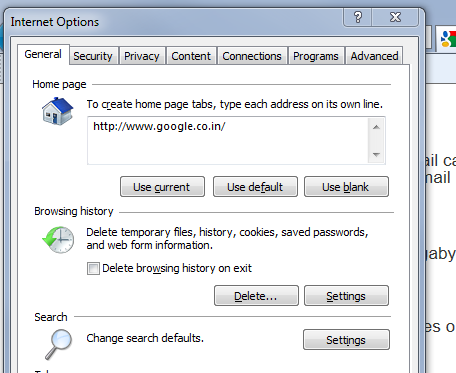 Another way to get rid of this issue is to delete the browsing history as the internet explorer could be using some old information about the website that might have changed and website is not loading, for this you need to run IE and then go to tools >> internet options and then click the delete button under general settings to delete the browsing history. Yes, this could happen due to some toolbars and add on in IE which are conflicting with the browser in some way that could stop the loading of https websites, so you should try running IE without addons and check if the issue remains. 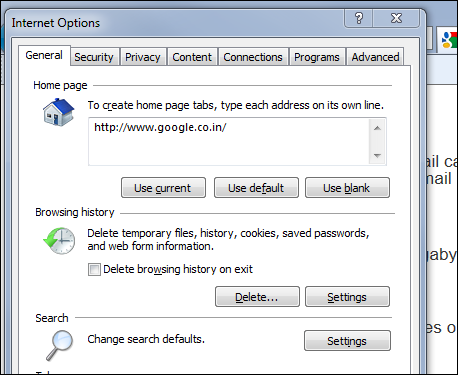 For this you just need to simply search in windows search as Internet Explorer – you will see one of the search result IE without addons. 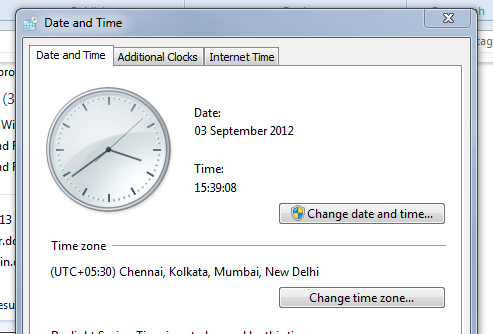 Some secure sites require that the date and time match the date and time of the secure site. Make sure that the Date and Time settings are correct, so to correct the date and time you need to go to control panel and Open Date and Time settings or simply search for date and time using windows search. Try resetting Internet Explorer back to its default settings. 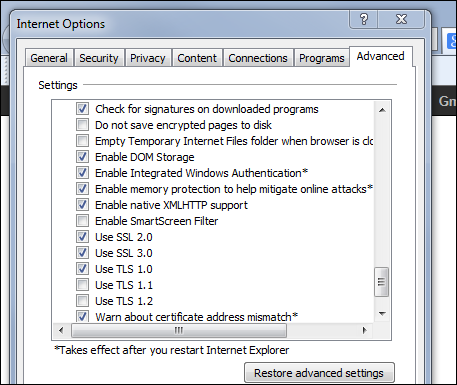 This removes all changes that were made to Internet Explorer and could help you fix the issue of https sites not loading. 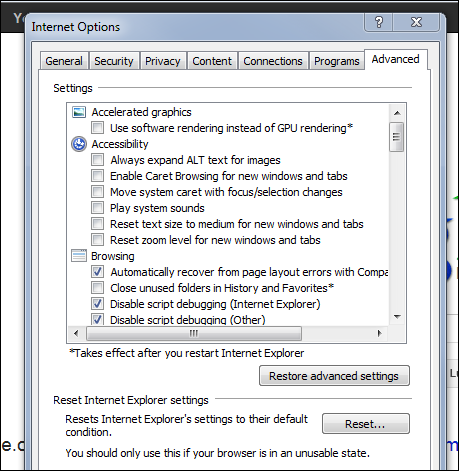 For this you will need to run IE and then go to tools >> internet options and under Advanced tab you will see the option to reset internet explorer settings. 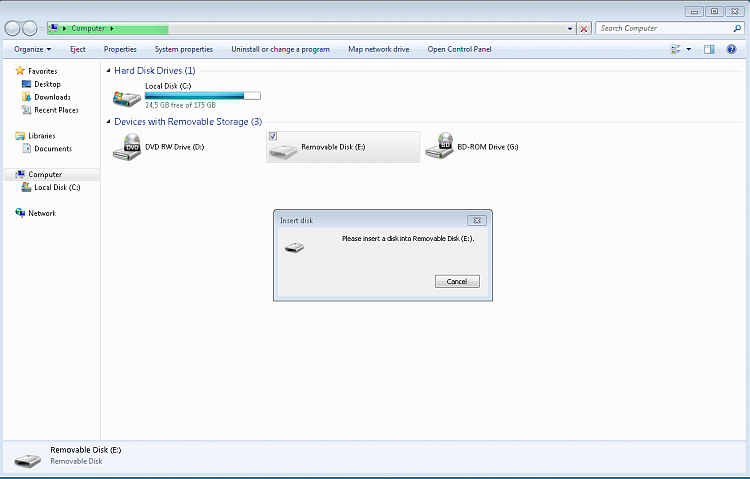 also another thing you should check here is that under advanced tab make sure the settings which says “Do not save encrypted files to disk” should be unchecked. 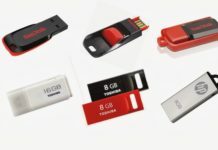 and modify any security policy which could be causing this issue for you. 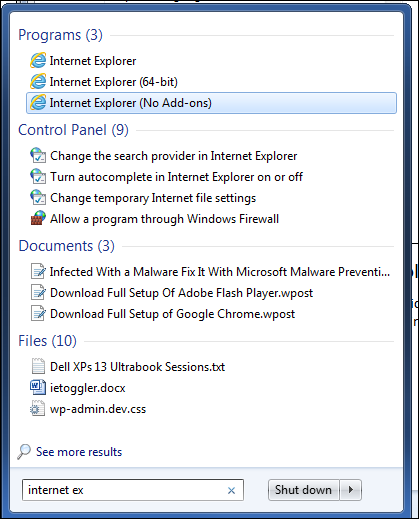 Run Internet Explorer, and then go to Tools >> Internet Options, and select the Security tab now add the sites which you want to open under Trusted sites by clicking the trusted sites button, enter the https URL of the websites which you want to open. 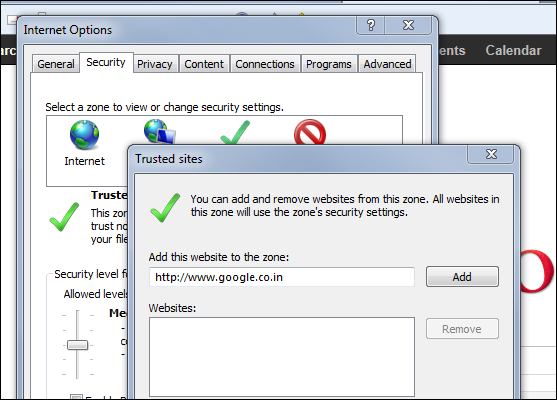 You can also lower down the security level to default, and it might work for you to load these websites. 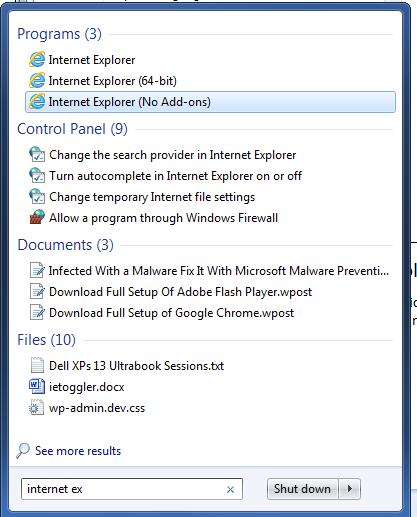 In Internet Explorer, on the Tools >> Internet Options, and select the Content tab and under Certificates, click Clear SSL State and Under Personal information, click AutoComplete now clear AutoComplete history, click Clear Forms. 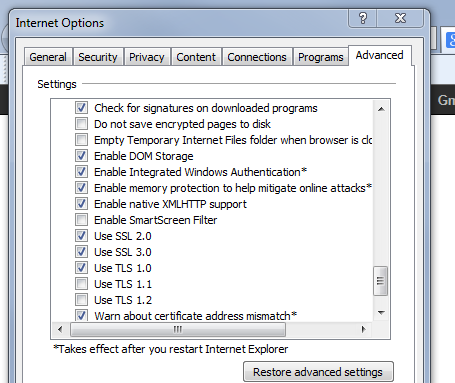 For this you will need to run IE and then go to tools >> internet options and under Advanced tab and under settings under the Security header, make sure Use SSL 2.0 and Use SSL 3.0 are checked and then click ok. If none of the above solutions worked for you, you can leave a comment at the end of this post and if we found some thing helpful we will let you know with a reply.